Shortage of educational infrastructure has been fundamental in hindering Indonesia's socio-economic development. This applies especially in remote regions where between 13% to 38% of children above the age of 5 have no access to schools. 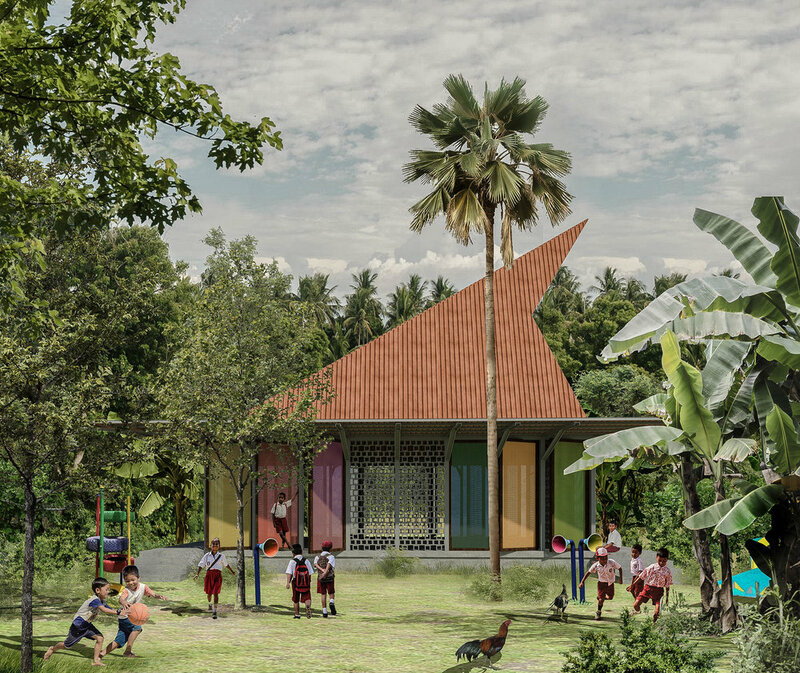 Sumba school is a low-carbon prototype that can be scaled rapidly to satisfy future needs by providing new learning environments in climatically sensitive regions. The prototype is 50% lighter and can be built 50% faster than conventional buildings which require skilled labour and consume time. 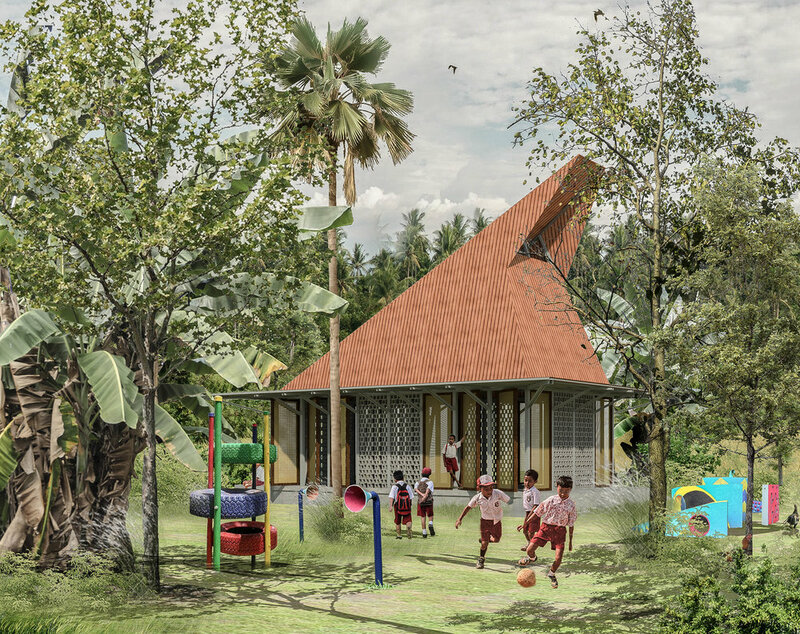 100 schools across Sumba Island are planned to be built in the next 5 years.